1/3/15 – After dropping the girlfriend off at work I picked fishing pal Chris up and we headed to the River Itchen for what might be our last chance of a two-pound grayling. The river looked good, albeit slightly faster than normal and whilst Chris tackled up I sneaked a couple of grayling out from a usually easy swim but it was far tougher than normal and when Chris failed to gain any response in his swim it seemed the writing was on the wall. Fortunately most anglers had stayed at home and we enjoyed leap-fogging each other taking maybe a dozen fish before heading downstream to explore new pastures. We both found a productive swim but apart from one sizeable grayling each of around 1lb 8oz it seemed the trout were on the feed and although good sport it wasn’t what we really came for so decided to head to a new spot that I recall seeing massive grayling some thirty years ago! We caught quite a few fish all around two…ounces and decided as this was a somewhat grey area for fishing their was absolutely no point pushing our luck so headed home in time to see England get a lesson in rugby discipline by Ireland. 2/3/15 – Today’s task was to complete a ‘Best off’ feature for Anglers Mail which took most of the day, before catching up on the usual daily tasks. 3/3/15 – Another day in the office, mainly because looking at the weather its going to warm up as the week goes on so best get all the features and paperwork done when the weathers cold and not good for angling. Jobs today included sending Nash my monthly round-up and doing a couple of user reports for anglers mail, yet it amazes me just how long emailing and telephone calls can take, today it just seemed to engulf most off the day. I did speak to my old mate Mike Townsend, based in Doncaster, he is what I call one of the nice guys in angling, always jolly and willing to pass on leads, in exchange for the same, which is more than I can say for many of the younger, look at me, take all and give f-all back in the press type angler! 4/3/15 – Today saw me on the banks of the river Blackwater/Test tributary in the Broadlands fishery complex with customer Howard. We were hoping for a bit of stick float fishing, however the Blackwater was coloured and pushing hard and couple this with the overgrown nature of the river made it not very enjoyable. We did manage a few small dace and roach yet after just a couple of hours headed to a free stretch of the river Itchen. There we bumped into a couple of friends, one being Sky Sports Andy Ford who had already been through the stretch fluff chucking with plenty of success. Normally I fish corn here yet with a couple of pints of maggots these were used which saw maybe thirty fish taken. Unfortunately these were mainly small trout, salmon par plus grayling to just over the pound. I think the size of fish was mainly down to fishing the swims after others had been in them, probably catching bigger fish and leaving us to be the pest controllers. One thing that was noticed is how important it is to use the right pattern and size of hook. I have to smile when I read articles where anglers complicate grayling fishing by using small hooks, swivels and elastic shock absorbers. To solve problems of loosing grayling is simple, use a strong hooklink such as Reflo 0.13mm then tie on a size 12 or 14 Kamasan micro barbed B525. 5/3/15 – A day spent writing and compiling images for ‘Day Ticket’ number 12 for Coarse Angling Today as well as getting in touch with a few different fisheries to start a new feature for Anglers Mail. 6/3/15 – The general ‘odds and sods’ before getting the barbel kit and heading to the river. Arriving at 2pm I bait dropped a couple of swims on route to swim number one where after just 2 minutes the tip signalled a bite by three serious taps. Unfortunately it wasn’t to be, whether I was taken unexpectedly from such a quick bite, or that my clutch should have been tightened right up due to a snag downstream, yet the fish didn’t charge downstream in barbel fashion but head across the current before finding sanctuary within the snag. My head tells me that the culprit was a carp, yet my heart tells me that it could also have been a very big barbel. Come 9pm and after trying three other swims without a touch it was time to call it a day. I’m trying to tell myself that just getting a bite was a result, yet it certainly doesn’t feel like it! 9/3/15 – Today was spent compiling a feature on different variations on the helicopter rig for a European magazine. This along with general Monday morning organisation took up the day, however with the end of the river season in sight and thoughts of that lost fish last week I’m going to spend the next few days on the bank in the hope of something special to end the season. 10/3/15 – Trying to make a mends on losing that fish last week headed back, late morning to the stretch for revenge yet second swim in and disaster happens as yet again a hooked fish finds a snag. This time it was down to bad angling, however the bite and fight was certainly not from a barbel but probably a big chub. To say the F word was mentioned is an understatement yet lets just say I never made this mistake before mobile phones were taken to the river! If things couldn’t get worse a chub bite was missed in the next peg and five swims later the salt was rubbed into the wounds when I finally slide the net under a fish, a bloody two pound sea trout! 11/3/15 – Today was meant to be a day of rod bending action at one of my favourite day ticket venues however come the end of the day I could only manage two pound and a half roach. Dad fared better with two similar roach plus a tench. I was trying to compile an article for Anglers Mail and had high hopes of the standard 100lb mixed catch only for the bailiff to inform me that the lake had been netted 48hrs prior to my arrival and couple this with a brisk easterly wind had certainly put the fish off. Hopefully next week will be better. 12/3/15 – Today was spent with a customer on the banks of the river Loddon in hope of a last minute barbel. Conditions were good apart from a low clear river yet roving around soon saw the tip bounce and thin air to be struck. Chris didn’t make any mistakes come the next bite but yet again it came from a modest chub. Searching the river we soon settled in to a new swim and at last the three-foot twitch arrives and a barbel hooked, yet it seems my luck is rubbing off as having the fish beaten, it makes one last dash and the hook pulls. I’m not sure who was gutted more, Chris or myself yet at least the new tactic that I’ve started to use is working. 13/3/15 – Chris my mate has the day off so we decided to head to the river again in the hope of a barbel. Full of confidence with the new method and bait saw the rod pull round first swim in and a chub of 4lb 14oz landed. This was followed by another four-pounder in the next swim. That was my only action with Chris taking a chub in his last swim. Heading home just after lunch time we grabbed some food and headed to Old Bury Hill for a last chance fish at the zander. Meeting up with five other anglers we spaced ourselves out along the grassy bank and soon started to get a few indications. Barrie was first to catch, a small zed of around 3lb with Ian landing his first of the species, one that weighed 4lb 2oz and was soon followed by a double figured common. Full of expectance, especially when Barrie landed two more to 6lb 5oz, we all patiently sat behind our rods awaiting the switch to be hit, yet come 9pm we were all still waiting as after dark the lake died a death and although we continued to refresh the baits and keep casting the zander were just not playing ball. The saying ‘when the winds in the east the fish bite the least’ certainly was true this week! 16/3/15 – The standard day spent writing up features for Anglers Mail, posting new data on my website and facebook, returning all my emails as well as fixing a leaking toilet, joy! 17/3/15 – On the road early with the car pointed in the direction of Slough House Lake in Essex to create an Action Replay for Anglers Mail. Back home by 4pm meant that I could set about sorting out the tackle for Thursday/Friday and have a full day writing the article up on Wednesday. 18/3/15 – In the office all day to get feature to publication for deadline. 19/3/15 – This was the first session back in the world of targeting a certain species and size, however as the big fish world goes, you have to take the good and bad days and believe me there are more bad ones than good. Today proved to be a bad day, due to the horrid north east wind that has been killing sport for everyone. Target species failed to show with my only decent fish being a tench. Hoping for a better day tomorrow, however I think it will be the same as although decreasing is still coming from the N/E. 20/3/15 – Arriving back at the lake at 7.30am we were confronted with a chilly Easterly and trying to find the fish I set up with the wind in my face which was uncomfortable to say the least. Chris was into a carp straight away so hopes were high, however with such a bad wind it wasn’t to be and come 4pm we decided to call it a day. I managed a tench again plus a few modest roach with Chris taking the same with his best roach going 1lb 7oz. 21/3/15 & 22/3/15 – The Big One. Two days on your feet all day, early starts, eating crap takes it out of you, and as for a 50th birthday get together Saturday night, well I needed that like a whole in the head and come 8.30am the girlfriend sent me to bed as I was snoring loudly in the sofa! To be honest I love these shows as it’s a great time to do some networking with other companies as well as catching up with customers and fishing friends that, well if it wasn’t for the shows, it just wouldn’t be possible. Highlights of the weekend have to be chatting with legends such as Sir Pete Springate, Chris Ball, Chilly, Des Taylor and Mr day-ticket himself Bill Rushmer. I didn’t get my cuddle from Virginia but Sarah Collins at Go-Fishing made up for this, she’s an inspiration to us all. The Korum Consultants are always fantastic, especially Dia Gribble who came over for a good chat as well as the big man himself, ‘The Pons’ who gave me a big hug, then a good talking too as well. The local angling clubs, such as Farnham Angling Society and Hartley Witney were doing their very best to attract new members, as were Godalming, however the cries of 180 seem to be the passing comment. Nash, well they surprise me every minute with a never ending release of innovative products and baits. What’s hot at the moment? Well it has to be ‘The Key’ a HNV bait that I tried right at the end of the season, and well, if you’re a chub angler its instant! However Gary informs me that TG Active and 4G Squid are even better, bloody hell they will be crawling up my rods then! A problem that many predator angler experiences is an alarm not working when using slack line, open bail-arms. Well forget the rest and go with an alarm that works in these precious moments and you don’t have to reach deep also. The Siren S5 solves that dreaded problem, especially for eel and perch anglers, the moment when the drop off indicator pulls off, giving just a single bleep followed by nothing! Well I can assure you that 27.99 will solve that problem! The Scope and Dwarf range of rods draw an ever lasting following as do the bed chair/sleeping bag system do, and as for the bivvies it’s like a bee-hive of activity but for me I will settle for the brilliant Groundhog Oval style brolly. The new range of small item luggage is also innovative as it covers every area of fishing from, camera case, scale and lead pouch to overnight/session angler food and bait carryalls, to be honest I could go on for ever but its easier to go to www.nashtackel.co.uk and enjoy looking at an everlasting array of long lasting products that will keep you happy. It was also good to catch up with the consultancy team who make these shows run so smoothly, anglers such as Paul Garner, Ted Bryant, and Alan Storey. 23/3/15 – Monday it was straight back into things again, this time heading off to Berkshire to look at and create a couple of new venues for Anglers Mails ‘Where to fish’ section. 24/3/15 – Tuesday once again was spent creating another Anglers Mail feature, this time called ‘Venue Expert’ at Willow Park Fishery with a true Gentleman of our sport, Alan Chadbone. Keep an eye out for these informative venue articles as they will help you catch loads more fish. Unfortunately time got the better of me as I was hoping to write this up in the evening but it will have to be done on Thursday as I’ve got that twitchy feeling and need to go fishing on Wednesday. 25/3/15 – Big fish session. Was it a success, well you will have to wait till the end of April to find out! 26/3/15 – Back in the office to write up Tuesdays feature along with getting the specimen gear out for tomorrow. 27/3/15 – Big fish session. 29/3/15 – Big fish session. 30/5/15 – The standard Monday morning round up which included taking a number of photographs to complete and forward a European article as well as heading to Berkshire to get a couple of images and info on new Anglers Mail ‘Where to fish’ venues along with getting the kit sorted once more for another Big Fish session that, due to the weather might not happen on Tuesday. Lets just see what’s happening come 5am! Well it had to be the horrid easterly come north east wind that really put paid to the sport this month. In total I been out casting a line on thirteen occasions split between personal sessions (9) Guiding (3) and features (1) totalling nearly 100hrs, a nice split yet its been the time spent indoors producing features that really indicate the amount of hours dedicated to angling. The first two weeks of the month were spent on running water with the hope of a monster barbel. Unfortunately apart from a customer loosing one, the only species that seemed willing to feed were chub. A last go at catching a few zander failed miserably with five out of seven anglers blanking, however the move from running to still water has had its highs and lows. This is standard when fishing for big fish in low stocked waters, bites come at a premium but fortunately a couple of mine have come from good fish to lift my confidence for a good April. I would love to share where and what I’m up to but with the campaign in its early stages I can’t disclose these details until the end of next month. Hopefully their will be loads to tell you. ANGLER'S MAIL magazine celebrates Take A Friend Fishing with 2-for-1 ticket deals at fisheries and a free 1-day rod licence this week. The offers are valid over the whole of Easter, until April 12. 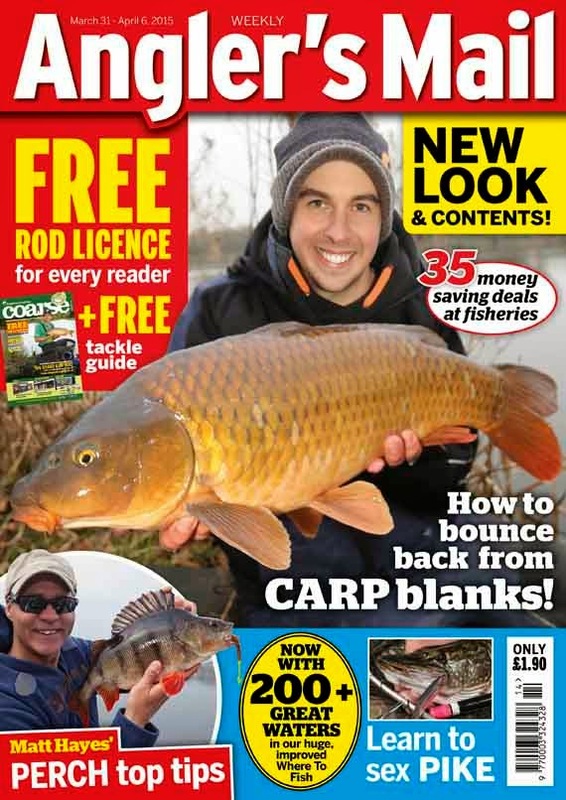 Plus there's a free tackle guide from Chapmans, and so much more in the new-look Angler's Mail magazine, redeveloped after research with anglers around the country. Which fishing show was No.1? Dave Coster, The Informant, Fish of the Week & more! A guide to catching big bream. The fortunate fact regarding fishing for big bream on large stillwaters is that they are predictable. As long as the angler remembers the following points then they simply stacks the odds in their favour of catching. The facts are as follows and ones that I will progress on in more detail later on – bream follow the wind, are usually located at distance in areas which are weed free, feed more confidently after dark and love lots and lots of food. I’m not going to spend too much time talking about the above points as it’s been done before but as they are so important feel that they do need to be reinforced. The most important point when it comes down to locating and catching big bream is simply to follow the wind! Simply find the end of the lake where the ripple is, set up if possible with the wind directly in your face and the odds are that the bream aren’t far away. Obviously sitting in the depth of winter with a chilling easterly blowing straight at you isn’t advisable but set up wisely, to the side and you should be able to still fish effectively and in the right area without getting too cold. I always keep a close eye on the weather forecast and try to plan each session when a warm south westerly is blowing as this is by far the best. And one thing that is a recipe for disaster is to set up with the wind coming off your back, it might be comfortable but the chance of any fish being in casting range is slim. Another very important point is that big bream rarely come in close to the bank, preferring to keep their distance so be prepared to have to fish at range, sometimes upwards of 100yards. What I recommend though is that an angler needs to find a range that’s comfortable for them as its better to fish effectively at seventy yards than ineffectively at one hundred. At this sort of range finesse has to be forgotten about so it’s out with the 2.75lb rods and big pits reels. Baiting at this sort of range can be done in a number of ways – spodding, spombing even using a bait boat however my preferred method is a sling-shot as its far less accurate than the others and spreads bait over a wide area, something that’s far better as the bream have to work harder, looking for the food meaning they stay in the swim and feed for longer. However you prepare your swim it’s important to fish your rods in the middle of this and I simply place a marker float at the desired range, bait around then cast to it before marking the distance on my mainline using Nash Spot-On. Its simply then a case of making sure the markers are next to the reel before clipping the mainline in the reels line-clip, lining up against a far bank marker and then casting out so that the line hits this clip. Distance and direction achieved and bang in the middle of the baited area even after a fish in the middle of the night! Unlike tench that love feeding within weed, bream hate it so before choosing a swim make sure that a marker float is cast out and pulled back slowly. If it constantly gets jammed up within weed then look for another swim. Find an area of clean gravel or silt and the chances are that bream will locate your baited area and feed confidently over it. The bigger the bream the more nocturnal they become and I’m yet to find a venue that fishes better in the day than at night, its that conclusive. Why this is I’m not sure but if your serious about unlocking a venues secrets then getting prepared and organised for a few overnight sessions is a must. One thing is for sure and that is that bream love plenty of food, especially halibut pellets and fishmeal groundbaits and I have adopted three main recipes when targeting them. Groundbait and Corn – This is a brilliant method and one that works best on venues that haven’t seen the bream weaned onto boilies due to carp fishing. It’s an expensive method if bags of groundbait are bought separately so my advice is to buy a 25kg sack of breadcrumb and add a couple of higher quality method mix style bags to this. The great thing is that sweetcorn is cheap and again can be bought in large bags and along with some pellets for added attraction this creates a great, effective and relatively cheap way of attracting bream into your swim. Mix this into balls using water infused with plenty of sweet sticky molasses and introduce via a sling-shot leaving enough spare to mould around the lead system. As for the rig and bait well I find a corn wafter best fished next to a semi-fixed lead arrangement. Boilie and Pellet – Some venue see a huge amount of boilies introduced and as a result bream have become accustomed to feeding on these, yet most carp anglers feed these on their own to avoid attracting bream but by combining both is a sure recipe for success. Again quality pellets can be bought in bulk from animal feed outlets, I use Coppens a Dutch company and simply add plenty of Nash Crab and Krill Instant Action boilies to this. If the pellets are scolded with hot water and mixed with a bag of method-mix groundbait then it can be made into balls and introduced using a sling-shot, however getting the mix right isn’t easy so a big spod or spomb might be needed. As for rig I love the buoyancy of a snowman rig as just like the corn wafter it counter balances the weight of the hook and can be sucked up into the mouth of a bream easily and the scolded pellets once again are compressed around an inline semi-fixed lead. Economy particle – Bream fishing can get expensive due to the sheer amount of bait needed to hold a hungry shoal so one way of reducing the cost dramatically is to buy sacks Vitalin or something similar. This is basically a muesli style dog food containing cooked wheat, barley and maize as well as containing meat and marrowbone. It creates very heavy balls of groundbait and is a great carrier of particles such as pellets, boilies and sweetcorn and makes a distinctive white cloud as it breaks up withing the lake. This can also be moulded around a semi-fixed inline lead, introduced in ball form and as for hookbait then it depends on what’s added to this yet a corn wafter will be difficult to beat and keeps the cost down considerably. The only other things that need to be mentioned is when bream arrive in your swim they can drive an angler to distraction due to liners so adding back leads will be needed to deter what is and isn’t a proper bite and make sure that your hook points are sharp as fishing at distance over gravel can easily blunt them. 1 – With the swim primed and the rods nearly out all that can be done now is wait. 2 – Forget finesse its time for the big guns! 3 – I prefer to use a Gardner sling-shot when baiting up yet a spomb, spod, even a bait boat can be used. 4 – Marking a reference mark on your mainline allows me to cast back to the same spot and Nash spot-on is brilliant. 5 – Bream hate weed and decaying leaves in your swim is also something to avoid. 6 – Overnight sessions are a must and I watch the water at dawn and dusk as these are key times to spot fish. 7 – A simple corn wafter (two natural plus one imitation buoyant pieces of corn) fished semi-fixed lead style over groundbait is as good as anything. 8 – A snowman bait (one bottom bait plus a small pop-up) once again fished semi-fixed lead style over pellets and boilies works great on carp waters. 9 – A corn wafter fished over Vitalin is cheap and very effective. 10 – I rarely use leadcore and backleads but pining down my mainline from rod tip to lead allows myself to distinguish between what is and what isn’t a bite. 11 – Don’t take it for granted that hooks straight from the packet are always pin sharp, there not and always check points on a regular basis especially when fishing at distance and over gravel. 12 – Get it right and bream like this personal best of 16lb 2oz is achievable. The end to another season. I’m not entirely sure how it works nowadays, yet for me a season’s fishing ends come midnight on March the 14th, a time which coincides with the closing of angling on running water. To be honest it’s some relief when the season ends as with the closure of the rivers and the end to the predator season, many complications are removed and I can seriously get my teeth into the odd campaign. I say odd because over the last three years my big fish head hasn’t really been on, yet that’s all about to change as I’m sick of swapping from one species to another along with constantly altering kit, its now time for some consistency and distress. This change want involve not being able to cater for customers wanting to target different species, it will just mean that my own personal angling will be spent with a certain species and size target for a set period of time. This may include species such as tench, bream and crucians through the spring then barbel, roach and grayling through the winter, however these targets and campaigns will be kept relatively quiet until its time to move on, and only then will captures be revealed. Sadly this will mean less information within my monthly reports but to make up for this I’m going to try and show more tactical features upon my website. So looking back on last year, was it a good one? March – Just prior to the end of the season we finished a winter’s campaign once again on Frensham Great Pond after my favourite species rudd. Although not as productive as other winters it certainly wasn’t the worst and on most occasions we caught, yet it was noticed that the size of rudd was well down and a fish over 2lb 8oz seemed a rarity. It was also a period that I decided to broaden my knowledge of different day ticket venues in the area; however this season it will come to an end as searching for monsters will take up most of my spare time. April – Probably the month I love the most as everything’s springing into life and the fish started to feed. Mill Farm Fishery was one venue that I visited a few times, yet the hope of a massive silver bream just didn’t happen. In fact I never even surpassed the two-pound barrier, yet my mate Chris did with this personal best of 2lb 6oz. Badshot Lea on FAS portfolio saw big bags of bream taken and Harris Lake on Godalmings Marsh Farm complex was also a regular haunt with myself and many a customer taking some amazing catches of tench and crucians. May – This month has to be remembered for an unexpected capture as whilst targeting carp a crucian picked up my bait, all 3lb 14oz of it and no, it wasn’t from Johnsons or Harris! It was also the month that l started to target catfish at Badshot Lea and with the help of my mate Chris these became regular appearances to the bank along with many a gate crashing grass carp that seemed to like double 22mm pellets! May is also a fantastic time for eels and I spent the night under the stars at a favourite venue of mine, Sumner’s Pond and managed to take a couple of three’s. June - Although 20lb and the odd 30lb catfish graced mine and Chris’s net regularly it was the capture of a 37lb cat by Jake Curry that stole the show. Just check out that smile. You will be happy to know that during May and early June guided catfish trips will be available, however due to our campaign else where, dates will be limited so send me an email now if you are interested. Frensham Pond fished well with big bags of tench to over 7lb and Johnsons produced a few crucians to 3lb 8oz. July – It was a month that saw two personal bests taken, the first being a 6lb 10oz rainbow trout that picked up 13mm pellet intended for barbel and the second was a 4lb 10oz golden orfe. However it was my dad who showed me the way in terms of quality and put my orfe to shame after taking one weighing 5lb 9oz. The catfish continued to grace our nets with the most memorable being a customer Tim who landed three including two twenties to 27lb 12oz. Aug – A tip of from good friend Fred Healy saw me heading to Bucklands, the now mega of rudd fishing and just before it went syndicate. In probably the worst weather imaginable I took an amazing catch of rudd which included sixteen over 2lb 6oz. The biggest two weighed 3lb 10oz and 3lb 12.8oz. 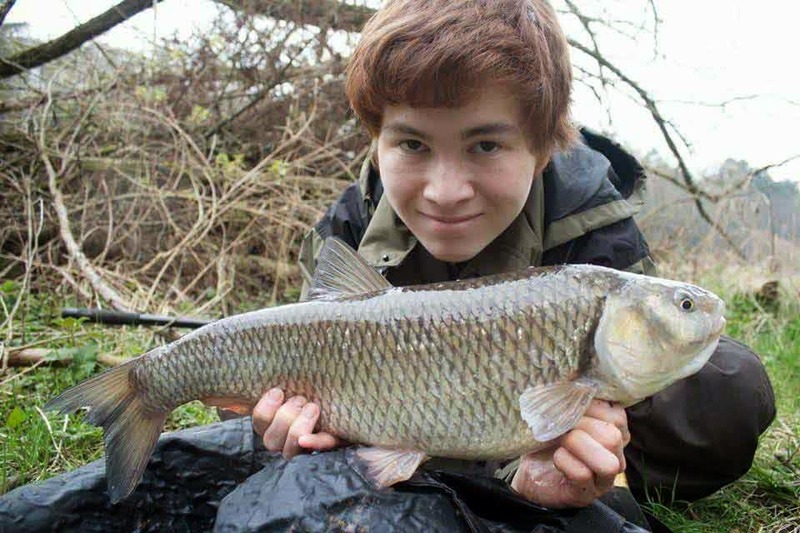 I also fished the river Avon for the first time ever and managed a good chub although I was trying to catch a carp for an Anglers Mail feature! A few trips to the Wye proved successful with plenty of barbel falling even in extremely low water conditions. Sept – More trips to the Wye saw numerous barbel landed however the politics surrounding the beat I was fishing was becoming uncomfortable and unbeknown to me after the final trip I decided to depart and never return. Yet as they say, when one door closes another opens and a couple of exploration trips with my dad and brother located new stretches and although the fish weren’t quite as abundant, they were certainly bigger. Johnsons continued to supply big crucians and come the end of the month it was time to pack the suit case and head of to Spain for a spot of monster cat fishing on the Ebro. Oct – Although tough due to some diverse weather conditions the Ebro didn’t disappoint with all three taking cats over 100lb. My biggest was a 140lb with Steve taking a pure albino of 178lb. On my return the crucians were still feeding yet getting over 3lb 8oz proved impossible. A trip nine miles out of Portsmouth saw me catching my first ever cod, and by god it tasted good and the zander fishing at Old Bury Hill started in unspectacular fashion. Nov – Not a great deal to talk about November apart from I managed to catch my first barbel from the Thames, not a monster but a start. The crucians had disappeared at Johnsons and the zander although still feeding all seemed to be on the small size. I think the biggest we took in numerous trips was around 8lb. Dec – With the weather cold and frosty it was time to look at the river Test and Itchen and my first visit to Timsbury proved a success with a roach of 2lb gracing my net. Plenty more visits saw loads of grayling and trout taken but the coarse fish just didn’t show. The pike fishing at Frensham was warming up and the start of a pre-baiting campaign was an eye opener with loads of doubles taken. I even cast out a helicopter rig one morning and managed a tench in temperatures below freezing! Jan – This month was taken up with guided trips to the river Test and pike fishing at Frensham. The Test was just a fantastic place to be with customers happy seeing the float constantly dip below the surface and as for the pike fishing, it was brilliant and although nothing huge was taken plenty of doubles to just short of 16lb kept me happy. Feb – A month when a new stretch of the Itchen was explored. Target was a 2lb plus grayling yet although everyone we spoke to assured us they were there, numerous visits only produced them to 1lb 14oz. March – Another couple of weeks exploring pastures new, this time for barbel yet it was chub that liked my new style of fishing and bait. A last trip to Old Bury in the hope of a double figured zander fell on an almost impossible evening with a chilly easterly wind and temperatures dropping below freezing. Seven of us fished and five blanked including myself, it was that tough! Doors open at 9am Sat and 10am Sun with tickets costing £12 and concessions £7. 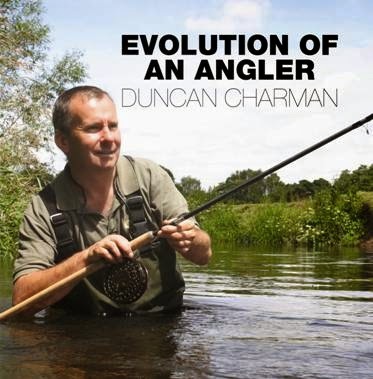 I will be on the Nash stand both days showcasing all their new products and baits so come over and have a chat with me plus plenty of other angling stars and if you want to purchase a signed copy of my book ‘Evolution of an Angler’ then I will have a few with me, cost £25.